Reflect your mood or create a new decor in a wink and at low cost with our interchangeable face plate offered in a different colors. View our video to see the possibilities. You renovated your kitchen? Want to add a touch of color for the holidays? Simply want a change? 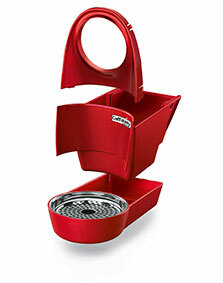 Your S04 Caffitaly will adapt easily to your new decor simply change the color at your machine with a different color.